Let's Take a Selfie Shall We? 8 Places to Capture the Perfect Selfie in Delhi! Selfies are not exactly considered an art form! But we all just love clicking away don’t we? And so, we thought of doing something for the selfie obsessed locals! Here’s a list of the most striking backdrops in town where you can indulge in selfies - so get your pout on and flash away! 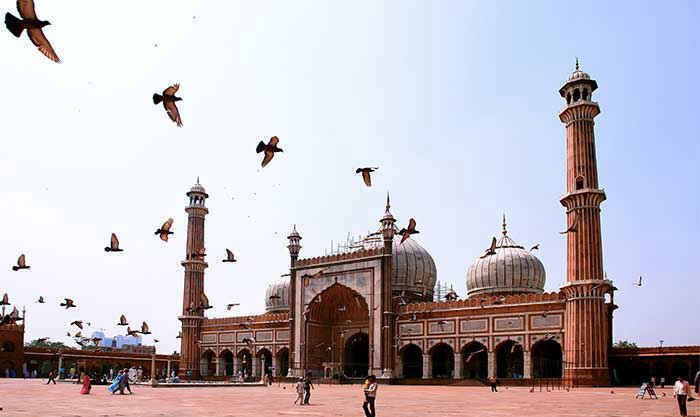 While everyone knows about Jama Masjid, what they may not realize is that it also offers the most awesome great aerial views of Delhi! And because you are allowed to climb up the Southern Minaret, you should go all out and make the most of clicking yourself with all of CP and the Parliament on the horizon behind you. Known for its stadium and fort, this haunt is perfect for a breath-taking selfie. 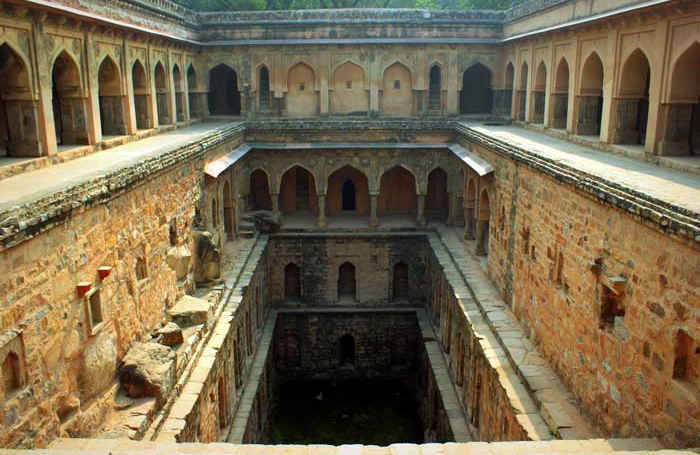 Make your way up the pyramidal structure and climb to the top level to get a 360-degree view of the complex. Your selfies will feature the monuments as well as views of the new city that looks like a distant image from the future - the backdrop for your next dp perhaps? 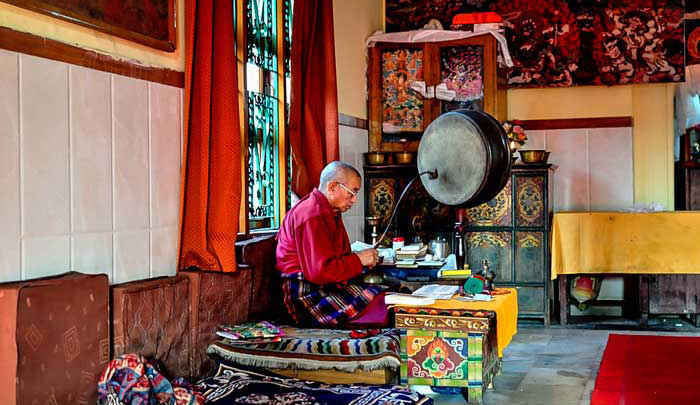 For those who would like to go off the beaten track, how about a cool selfie with a Buddhist monk or even some eclectic Tibetan paintings? Head on over to Buddha Vihara near Kashmiri Gate ISBT for a selfie with some character or you could even visit Majnu ka Tila for a more colourful touch to your selfies! This is a photographer’s paradise. 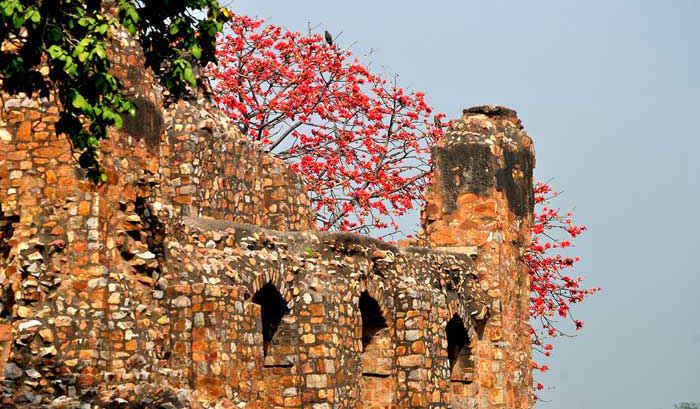 You can either take a selfie from the edge of the Hauz Khas monument with the lake in the background or visit the Deer Park itself for a closer and a more lush view. If you’re lucky enough, there will be peacocks wandering about as well - so get as much as you can in the frame and do what you know best! 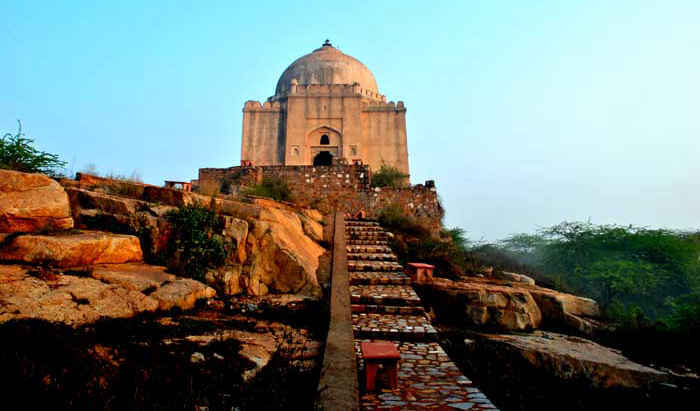 Located atop a hill near Lado Sarai, after climbing up the stairs, you will be rewarded with a splendid view of the Qutub as well as the thriving Mehrauli area. From Qutub Minar to Bhool Bhulaiya and Ahimsa Sthal, everything can feature in your selfies from this point on - scram! This is another gem which, besides its own grandeur showcases the glorious Qutub Minar in the frame which really adds to the oomph! 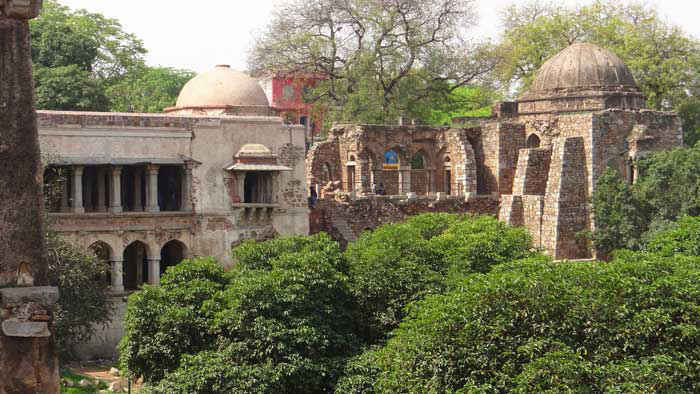 From Rajon Ki Baoli, you can capture the stepwell, the jungles of Sanjay Van, the looming Qutub Minar and of course yourself - all in the same frame. 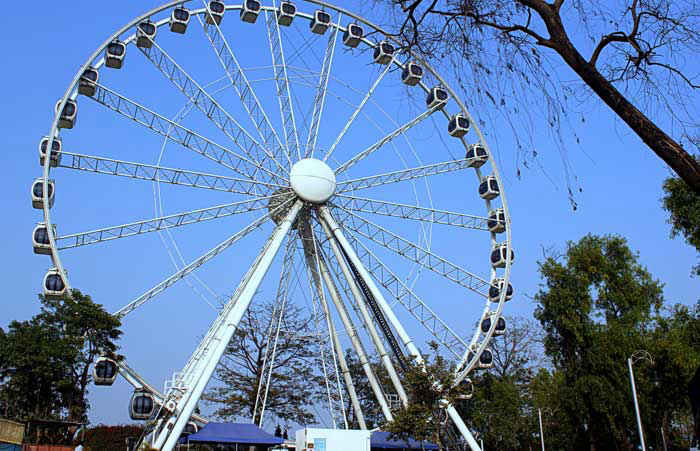 The latest attraction in Delhi, the gigantic ferris wheel in Kalindi Kunj is a sight to behold. The ideal selfie would be shot whilst you’re up on it, enjoying a ride. These may be the best aerial shots of Delhi you will ever get with a view of the Yamuna as well as the Lotus Temple so get moving! If you’re feeling a surge of patriotism, what better way to express it than with a selfie right here! 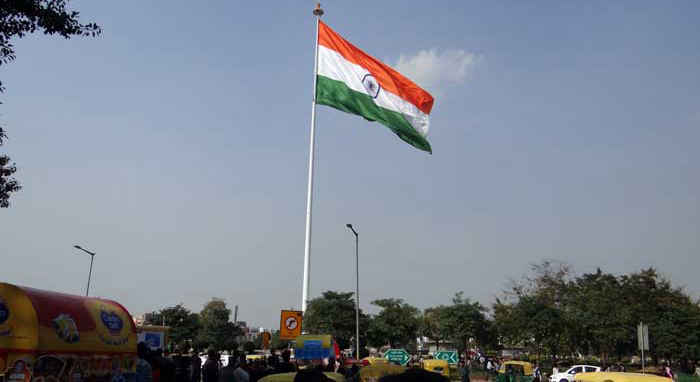 With the national flag towering over the heart of the city, this spot - especially during sunrise and sunset is the perfect place to indulge in a selfie!